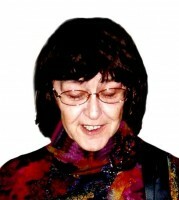 Academic painter Dana Zacharova – Jarunkova was born on 21st June 1947 in Bratislava. She graduated at the Academy of Fine Arts, Department of figurative painting. Alternatively she worked as a teacher at the Art School in Bratislava and as a freelance artist. She is devoted to painting, illustration of books and magazines. She illustrated more than 40 books. She is a member of the Slovak Union of Cartoonists and her artworks have been exhibited aroud the world – in Czech Republic, Germany, Belgium, Holland, France, Poland, Austria, England, Brazil, Japan,… Her creative work have been awarded by many important prizes and honourable mentions at cartoon festivals at home and abroad. She lives and works in Bratislava, Slovak Republic.